Great food, great service, fun place to eat!!! Restaurant is overpriced and way too loud. I would not mind the price if it had a classier feel to it. I felt i was in a loud food court. 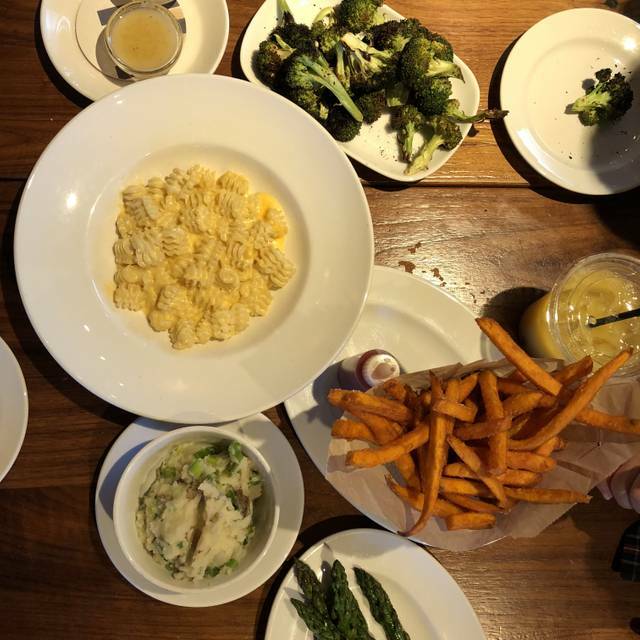 The meal and service made Del Frisco's Grille a stand-out. When we walked in, the atmosphere was neither here nor there---was it the nice steak house I had anticipated? I couldn't tell from the decor. But the staff was super welcoming, and the meal was every bit as good as I had hoped. Steak was perfectly "medium rare" the way I ordered it (and I appreciated the waitress, Tanya, clarifying what "medium-rare" actually meant). 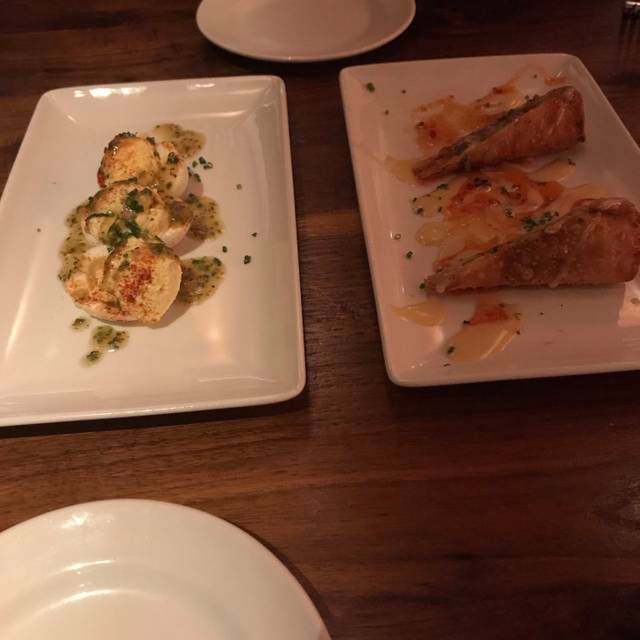 We had a lovely goat cheese appetizer that was first rate, and some side dishes that were nice, as well. So , yes, it was a bit noisy when we walked in, but the atmosphere improved when the lights were lowered. I would go back again, if just to sample more of the interesting menu and fine steaks. Nicole was an awesome server and we loved everything we ordered! 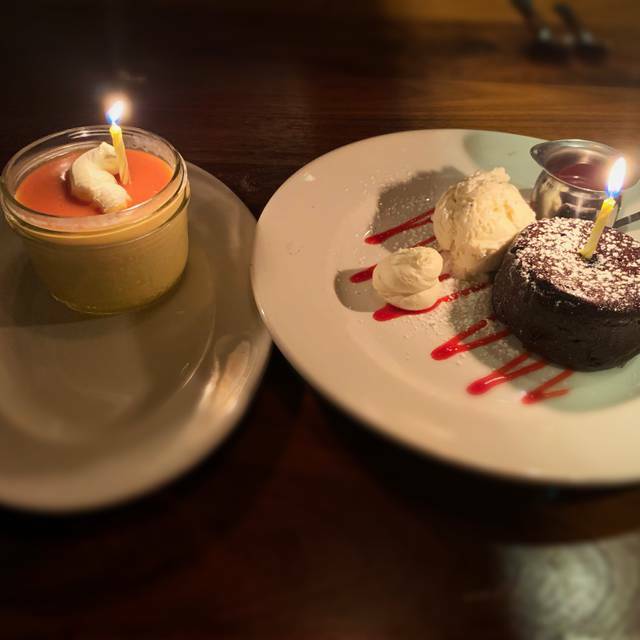 Delicious food, amazing desserts, attentive service and some very special touches for our birthday celebration. Really enjoyed our dinner here. Fabulous find!!! The food, wine, and service was amazing. We were sat outside by the fireplace, the perfect spot for a cool Spring evening to catch up with friends. Service & food were outstanding! However as the evening wore on the noise level became annoying. By the time the patio filled up we were practically shouting at each other so it was good we were finished with our meal. 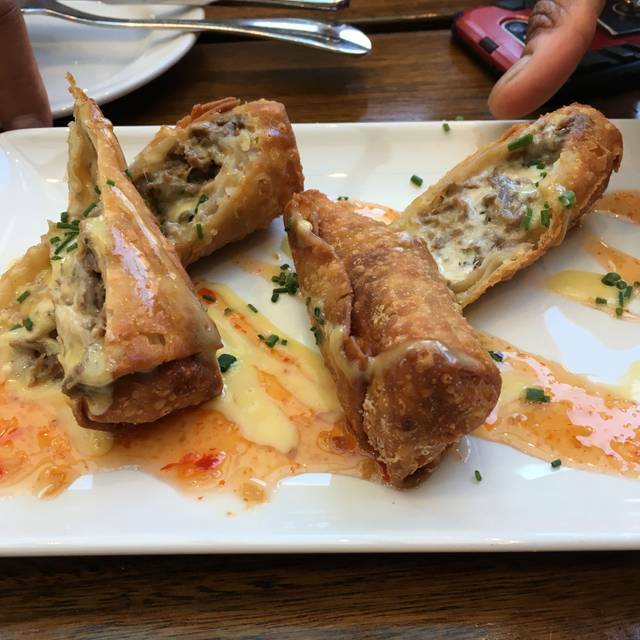 We tried Del Frisco’s in Irvine on a lark. We sat outside on the patio. Everything was fine. The food was good but not great. The service was excellent. There are other wonderful restaurants to go to and this is not a stand out. Only average tonight. Our server (Preston) was outstanding, but the food was not to the level I’ve come to expect fro a Del Frisco’s. The meat was just under-seasoned. Servers are always super friendly and professional. The food was okay. Over-priced and experience was not what is expected for standard at this type of price point. I would recommend Capital Grille - a little more expensive yet delivers on food and experience. Overall, had a good experience. Our server was extremely attentive, hospitable, and a general pleasure to interact with. The food was generally good too. The only complaint was the plate size in some cases; we ordered crab cakes (I mean a single crab cake), which was about $18 for a relatively small single, crab cake. Not much value there. Beyond that, the steak and salad we ordered were both good. Overall, again good experience but would hope for $18-20/plate you'd get a little more food. Generally, I enjoy Del Friscos. The appetizer was enjoyable.? However, there were issues with the steak this time. The filet came out medium rare rather than medium. The waitress was kind enough to bring it back to be cooked longer. However, after the second time, a portion still was uncooked. I discovered afterwards that the filet was split by a stretch of fat in the middle, which also had undercooked meat around it (which I did not eat). Honestly, this cut of meat should not have been served as a filet, and Del Friscos has been better. This was our 1st dining experience at this restaurant. We were on our 10th year anniversary and towards the end of the dinner the waiter brought a hand written card to us and it had all the employees signature on it, with a big HAPPY ANNIVERSARY as well. 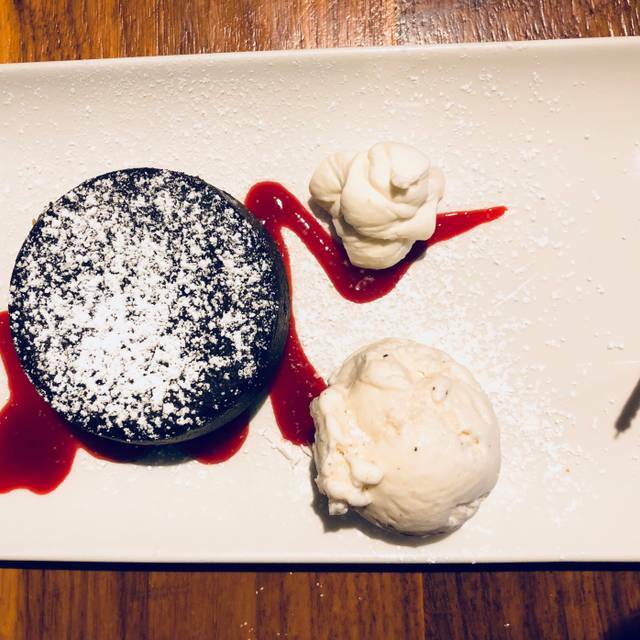 I was truly amazed already at the service and food quality, which is AMAZING!, so to get a card from complete strangers was just the cherry on top! 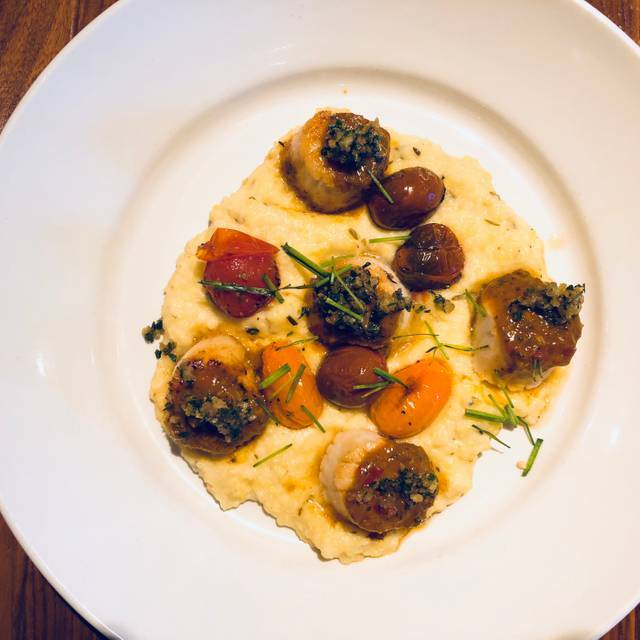 If you want quality food and are in the area, they won’t disappoint! Highly recommend, and I’ll be coming back soon as well! Fantastic food, great service and a wonderful location. 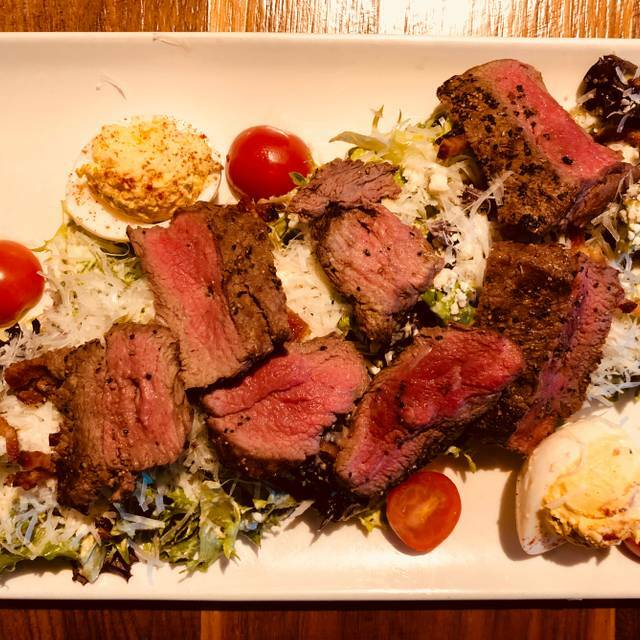 Highly recommend the steak salad and the baked goat cheese appetizer. Both were on point and served as a foundation for a great evening. Our server was 5 star, order was quick and accurate, she was there when needed and never too much. Thank you for a great evening. Filet Mignon was excellent. Great taste and very well prepared. The Prime Steak sandwich was very good with the garlic sourdough bread. We love coming to Del Frisco's. This time the service started out super strong and then kind of faded away. Forks and knives were cleared after our appetizers but not replaced when our salads arrived. Salad didn't have any salad dressing on it and it took a long time to find the server to get a side of dressing. Makes it kind of awkward when everyone in the party is eating and one person cannot. Dessert course arrived and no silverware. The server went to take another tables order while holding onto our silverware? Also we ordered their chocolate cake and was told it would take 5 minutes. 15 minutes later we are still waiting and had to ask about it. So again, awkward in a group when some people want to eat but out of courtesy have to wait for the others to get their food. Food was definitely not worth the value. Perhaps it was what I ordered. However. I didn’t like my drink, appetizer, entry or dessert. Usually I would like at least one item. Our waiter was attentive and funny. Our server Brandon was great. Best thing about the dinner. 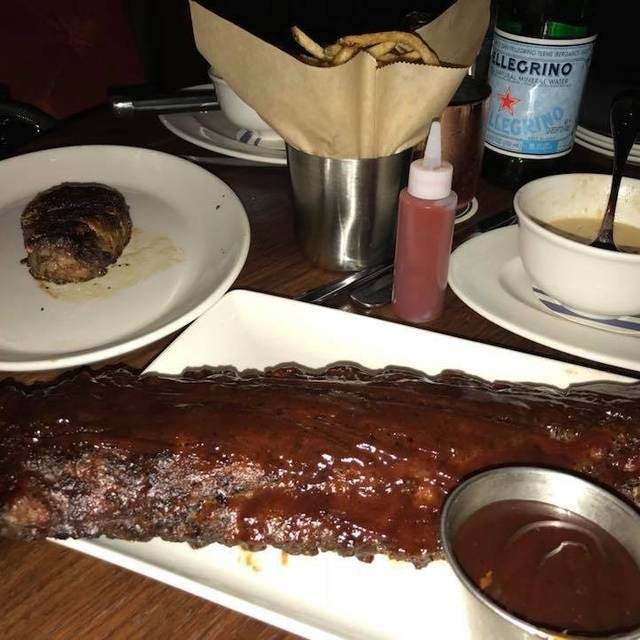 Ribs I had wasn’t anything special and the ribeye my wife had was ok. But the perfect margarita was outstanding and the bread pudding was good. Wouldn’t go back to price for something I could get for half the price. Excellent service and very good food. The ambiance was loud and hectic but overall a good choice. Service was fantastic. Ambiance is great. Food is just ok. It was my husband’s birthday, so we went to del Frisco’s for dinner with the kids for steak. Preston was our server and he did a phenomenal job. He took excellent care of us, made it a special evening! Thank you Preston! I had requested the private room as it was a business luncheon. Great overall ambience and our server was both very attentive and had a great personality. Service sucked. Overeager waiter asks us what we want to order only about a minute after we get our menus. Forgot key parts of our order on multiple occasions. Get it together!!! 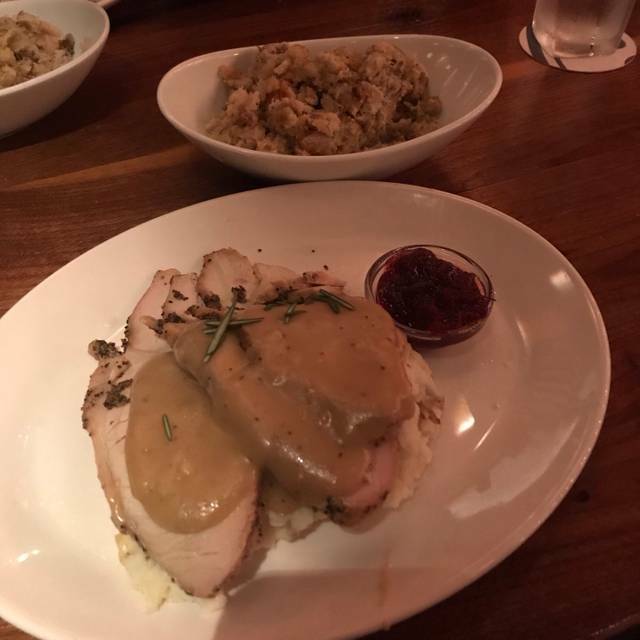 The food was incredible, great experience, and even better service. We enjoyed the atmosphere of the restaurant, but I did find the music to be louder than I'd expect at a restaurant of this quality. It was a very pricey steakhouse, but a very casual atmosphere. Service was okay, not overly attentive. But my daughter found a large wad of gum under the table and it got all over her pants! No bread was served and the entrees were very small. We split a lava cake among 4 people. It was laughable as each person had 2 small bites. We spent almost 300 dollars and left Del Frisco hungry. So not worth it! I was pretty excited to come eat here, especially based on reviews I had read and also I was looking forward to eating somewhere that was well known in Irvine. However, I was a little disappointed that with a place like this with these prices, service wasn't as good as I expected and also even before appetizers were ordered, there weren't any beginning bread rolls of any sort. The waiter also made it very known (in almost a demeaning manner) that he was quite disappointed with us not ordering any of the desserts after we looked at the dessert menu. That didn't sit quite well with us. Our little party of 4 was almost made to feel like we weren't "good enough" to eat there. Food was ok though.